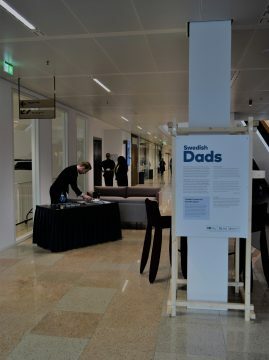 Swedish Dads exhibition is now open! 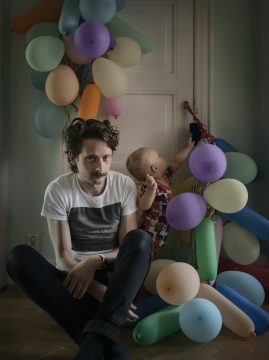 4 - 9 March, exhibition Swedish Dads by Johan Bävman, Ground Floor at Epicenter Amsterdam. 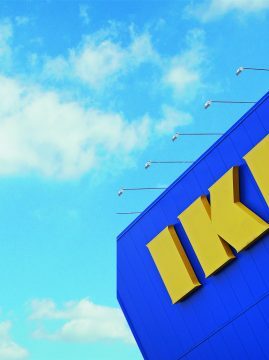 4 March 12.00 - 13.00, Lunch Talk by Christina Niemelä Ström, IKEA Culture & Learning Manager at Inter IKEA Systems B.V. Christina shares her own leadership journey and puts it in perspective with a focus on IKEA's work for equality. 5 March 12.00 13.00, Lunch Talk by Katja Berkhout, who is commissioned to connect StartupDelta with the world's leading innovation hubs. 6 March 12.00 - 13.00, Lunch Talk by José Woldring, founder and CEO of Media Nanny and ambassador for Making Moves in Music, an initiative by Bumble to get more female DJs to the top. 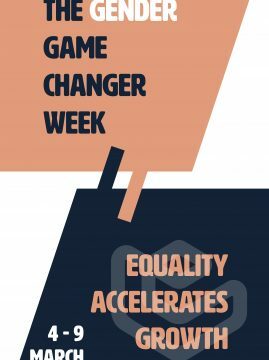 6 March 18.00 - 20.00, Movie Night with Young Professionals by the Swedish Chamber of Commerce, We will show a movie related to our Gender Game Changer Week. 7 March 16.45 - 18.30, official opening night for the world-famous exhibition Swedish Dads by Johan Bävman. Take part in an insulating evening with talks by Johan Bävman, Marius van Regteren and Björn Atterstam about why dads are important, why equality is a good idea and how it changes society and relationships for the better. All events are free, but registration is mandatory, except for the exhibition. Please go to upcoming events for information & registration. 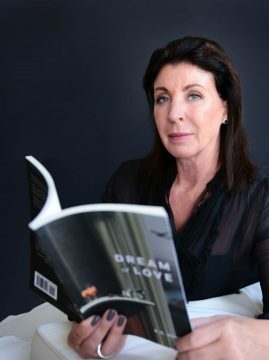 Meaning Matters Dream of Love points at consciousness competences that are within human reach, yet infrequently viewed as leadership aptitudes. It addresses how to ‘manage’ energy in the context of leadership and personal evolution. The two protagonists, a man and a woman whose age, nationality, and upbringing remain vague, find themselves delving into these very issues, prompted by their love for the other. Across a number of international locations, they each deal with non-locality, uncertainty, and, each experience multiple mind-states at the same time. Feeling into probability, interacting with what could emerge, participation is based on choice of mindset. These factors are identified in quantum physics and thus transfer into what can be defined as quantum leadership. The protagonists’ thinking tends to oscillate between both models. They derive meaning from the ontic view – things are the way they are independently of interpretation. Simultaneously, they believe things to be fluid and continuously changeable, epistemic. In their view, events happen for a reason that is observable and possible to interpret based on experience, as well as full of unknown components, that might play the bigger part in what evolves in a given situation. They undergo this uncertainty with mostly innocent acceptance, trust and doubt in equal measure. The linear paradigm, often further informed by religion and moral philosophy, placed ‘meaning’ at the end. But isn’t meaning a deep sense of knowing pervading all levels of action and interaction, rather than order in a hierarchy of needs? Don’t we need meaning, in whatever form we find it, every day? Where can we derive meaning in leadership? These are questions they grapple with – as many leaders do. The power of the central characters’ encounter guides them through their personal development and individuation journey, and gradually they cope with the inner work of unlearning and releasing limiting imprints. It exemplifies how to achieve mental and emotional breakthroughs by means of self-reflection, contemplation, meditation, and having the courage to face and renounce self-limiting habits of mind and create a desired future. The course of their relationship forms a powerful reminder that this is easier said and wished for than actually realized. Their love guides them forward and throughout the course of the book, their relationship exemplifies how to balance objective and subjective consciousness - an essential technique for modern leadership. Congratulations Harald Friedl who was chosen as the Best CEO in the Sustainable Consulting Industry at the European CEO Awards! 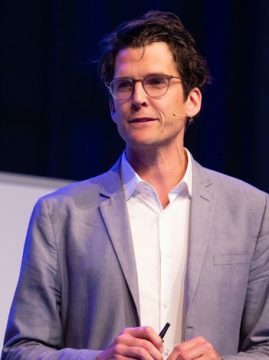 Congratulations Harald Friedl, keynote speaker at Nordic Circular Economy Summit January 2019 Who was chosen as the Best CEO in the Sustainable Consulting Industry at the European CEO Awards! Infeldt Translation Services – for your translations into Swedish Last October I finally did it! I started my own company providing translation services from English, German, French and Dutch into Swedish. After more than 20 years working for various departments of the European Commission, including the translation service, I want to provide translation services once more, but now as a freelancer. Throughout my career, I have been torn between working as a linguist and working with policymaking as an official. In the end, this has the advantage that I’m not only a trained and experienced translator, I also have a good understanding of a wide range of topics (e.g. competition policy, climate action, financial markets and communication). With an MSc in Business Administration and Economics – International Business Programme from Lund University and a background translating legal texts for the Commission, I prefer working with business related or legal texts, be it for the private or public sector. As I have lived and worked for many years in Switzerland, Belgium and The Netherlands, my source languages are English, German, French and Dutch. And yes, I do keep my Swedish up to date as well. Please contact me at for your next translation project into Swedish. Looking forward to working together! 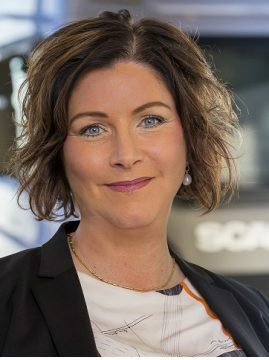 The Swedish Chamber of Commerce would like to thank Maria Karlström Director Business Support and Marketing & Communications at Scania BeNeLux for her inspiring contribution to the Swedish Chamber of Commerce Board of Directors. 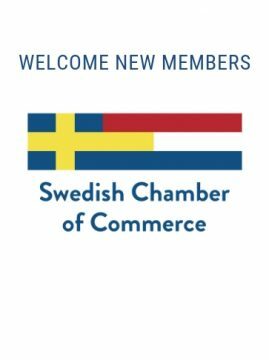 Maria Karlström has been a member of the Swedish Chamber Board of Directors since 2017 and she is ending her activities at the Swedish Chamber of Commerce due to a new assignment on a new market. On behalf of the Swedish Chamber of Commerce in the Netherlands, we wish Maria lots of success with her new challenge.